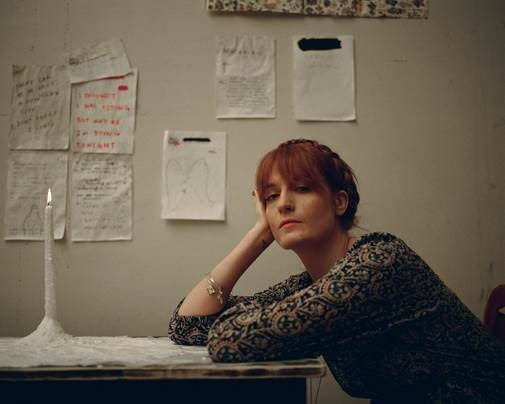 Florence + The Machine are back with new song " Sky Full Of Song"
Florence + the Machine today unveil a brand new track, "Sky Full Of Song” today. You can jump right into the new material and listen and watch the A.G. Rojas-directed video just below. The track was released inn partnership with Record Store Day, with a limited edition, double A-side 7" vinyl will follow on April 21st. Florence Welch says - "This was a song that just fell out of the sky fully formed. Sometimes when you are performing you get so high, it’s hard to know how to come down. There is this feeling of being cracked open, rushing endlessly outwards and upwards, and wanting somebody to hold you still, bring you back to yourself. It’s an incredible, celestial, but somehow lonely feeling."